Aggregate supply is the total value of goods and services produced in an economy. 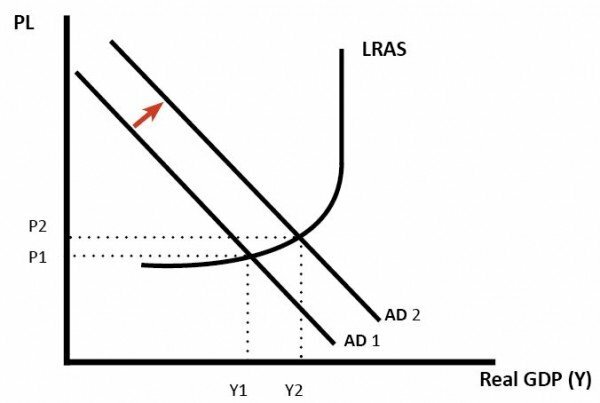 The aggregate supply curve shows the amount of goods that can be produced at different price levels. The aggregate supply curve is related to a production possibility frontier (PPF). Both show the productive capacity of an economy. Technological improvements which affect productivity and output. The level of entrepreneurship in the economy. In the short-run, capital is fixed. Firms can alter variable factors of production, such as labour. The SRAS is viewed as elastic, because in the short-run firms can increase output by getting workers to do overtime. In the diagram on the left, the SRAS has shifted to the left. This could be caused by rising oil prices (increasing cost of production. 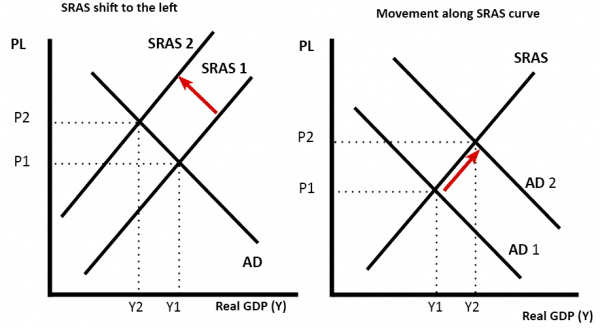 In the diagram on the right, higher AD, has led to higher price level, and a movement along the SRAS. The classical view sees AS as inelastic in the long term. The classical view sees wages and prices as flexible, therefore, in the long-term the economy will maintain full employment. Classical economist believe economic growth is influenced by long-term factors, such as capital and productivity. 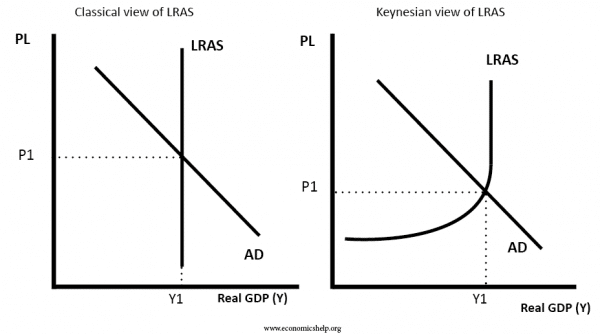 Keynesians believe the long run aggregate supply can be upwardly sloping and elastic. They argue that the economy can be below the full employment level, even in the long run. 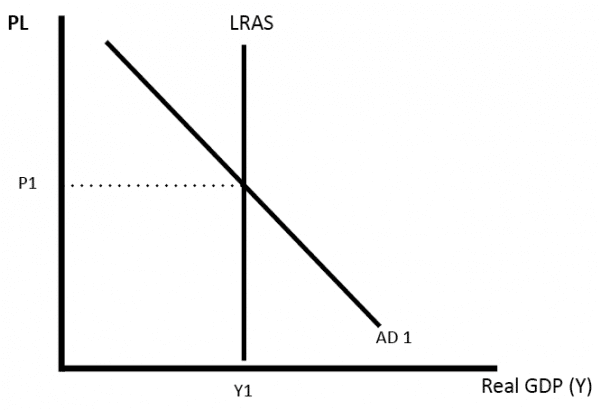 For example, in recession, there is excess saving, leading to a decline in aggregate demand. Keynesians also believe wages and prices can be sticky, and therefore, economies don’t automatically return to full employment equilibrium.